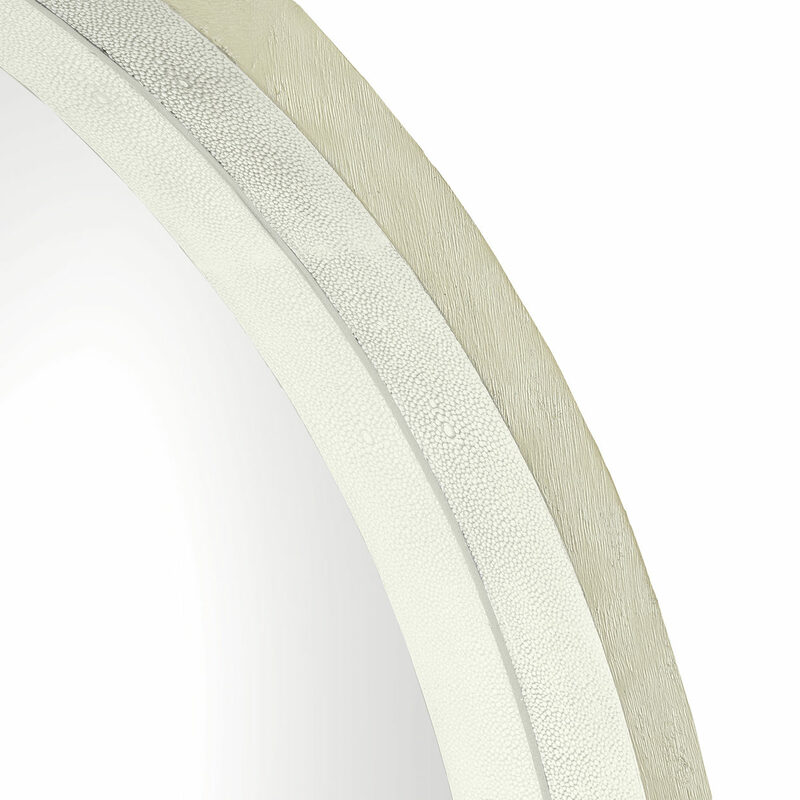 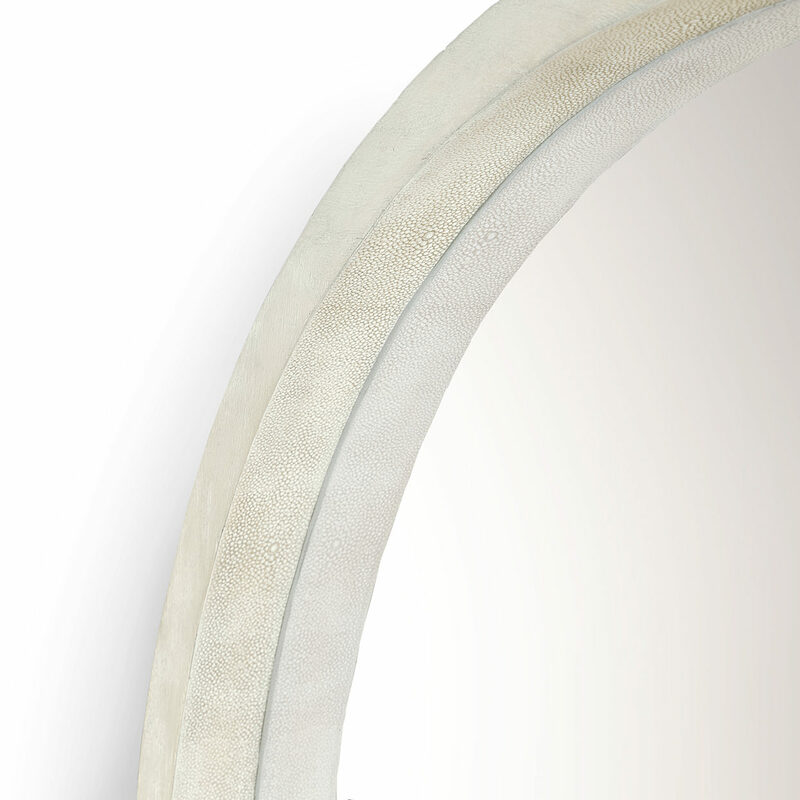 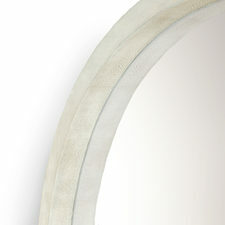 Beveled mirror features a hand distressed hardwood frame accented with a faux shagreen on inside edge in a whitewash finish. 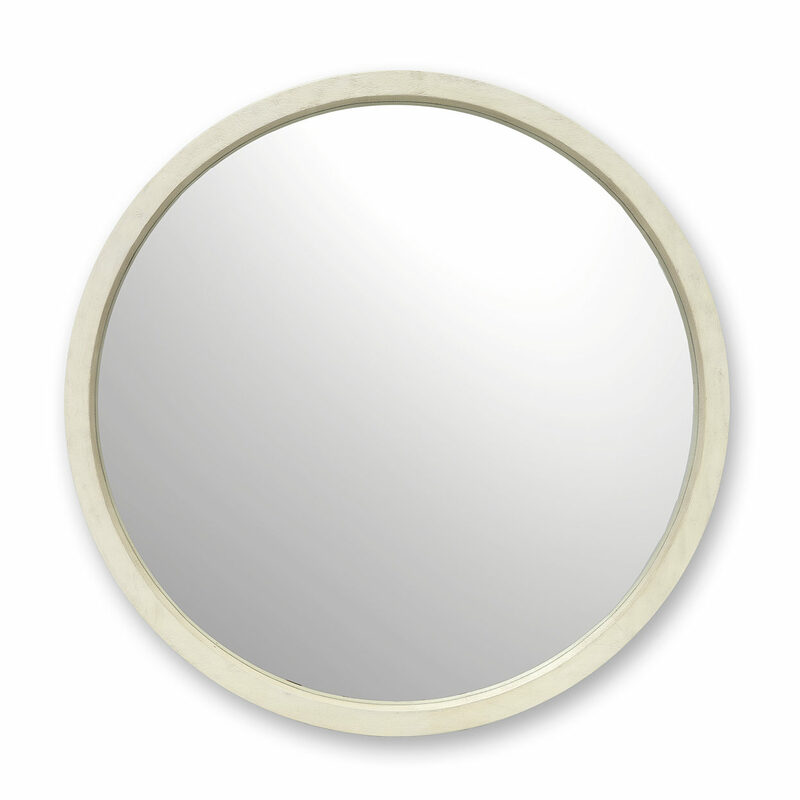 Mirror includes metal cleats for mounting. 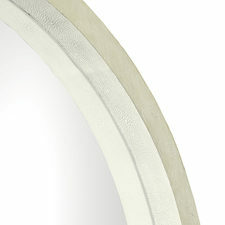 Available as shown.